Camshaft Failure Analysis: What Causes Excessive Camshaft Lobe Wear? We all know how important camshafts are to the function of your engine, and when they fail it can spell trouble. Whether you have a flat tappet or a roller camshaft, one of the most common causes of camshaft issues is lobe wear or damage. Did you know that just .001 of an inch of wear on the lobes can negatively impact your valve timing by as much as 3 degrees? This wear leads to loss of horsepower and fuel economy, among other problems. And that's not even considering the impact of more extensive damage caused by mechanical interference or other serious issues. If you notice wear or damage on your camshaft, it's important to locate the causes of the problem before installing your new cam. If you don't, you run the risk of ruining the new camshaft as well, and costing yourself more money. So what might be causing these issues? Read on to find out some of the most common causes of camshaft lobe damage. In many cases, pitting on the lobes is due to normal part wear from many hours of operation. Even so, it's important to identify and replace before the camshaft fails completely or causes damage to other components due to improper operation. In other instances, the pitting might be caused from debris in the components. Make sure that everything is clean on install, and that the oil passageways are clear and free of dirt or other particles. This is vital to proper install, as dirt and debris can cause major issues for the camshaft and bearings. The images below show pitting on the camshaft lobes. Proper lubrication is vital to maintain normal camshaft operation. When there is a lack of lubrication, whether due to blocked oil passages or too much clearance space, you'll begin to notice wear patterns. This is due to increased friction as the camshaft rotates. If left unaddressed, you run the risk of ruining your bearings, or even breaking the cam cap because of the high amount of friction and heat. The two main places you should ensure are properly lubricated are between the pin and roller and between the lobe and roller. This will help reduce friction, in turn reducing the amount of wear on the components. It is possible to have lobe damage caused by an improperly functioning lifter. You will most likely notice gouging on the lobes, as well as damage on the lifter itself. This can be caused by a lifter being out of position and striking the lobe, weak valve spring pressure, lack of oil pressure, or from stressful operating conditions like overspeeding. There are other types of damage a camshaft or its associated parts can incur besides just lobe wear. Many of these result from improper install techniques. To prevent install-related damage, ensure your camshaft is properly positioned and placed. Read our install guide for more information. 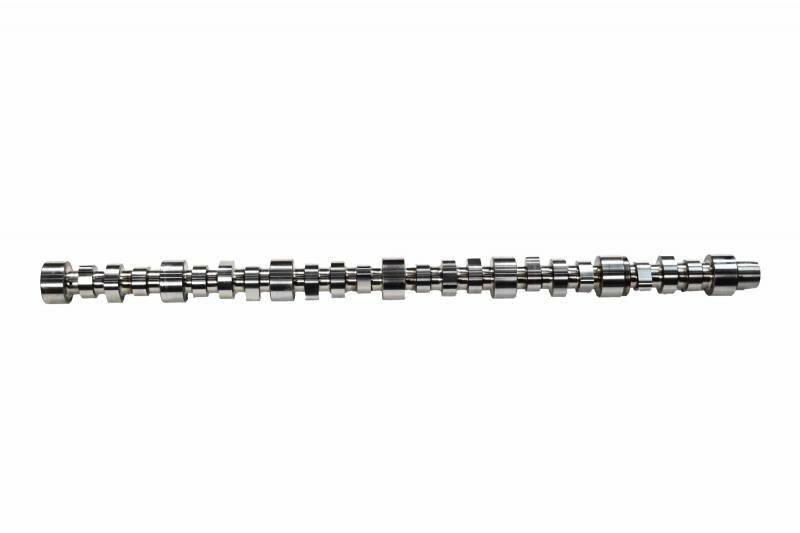 We have a large selection of camshafts if you notice that yours needs to be replaced. If you're interested in camshafts, or any other parts for your diesel engine, give us a call at 844-215-3406 or request a quote online.